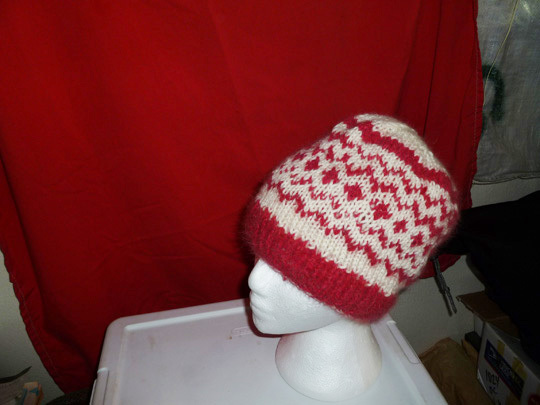 The red yarn is hand spun and hand dyed. It is a mixture of dog fur and wool (50/50) from my Alaskan Husky sled dogs. The white yarn is commercial wool.